An exceptional Irish necklace design. 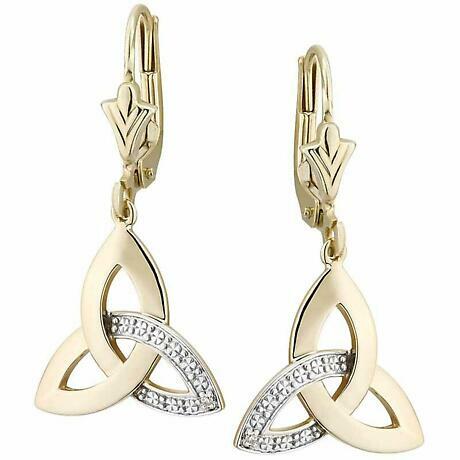 The Celtic, Trinity Knot is exquisitely captured in 10k Yellow Gold. 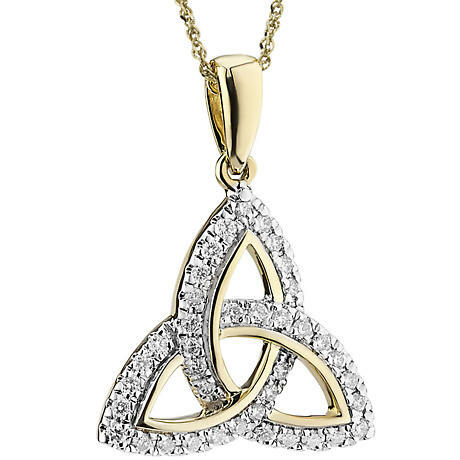 A panel of white gold is complimented with dazzling diamonds to complete this trio of goodness. 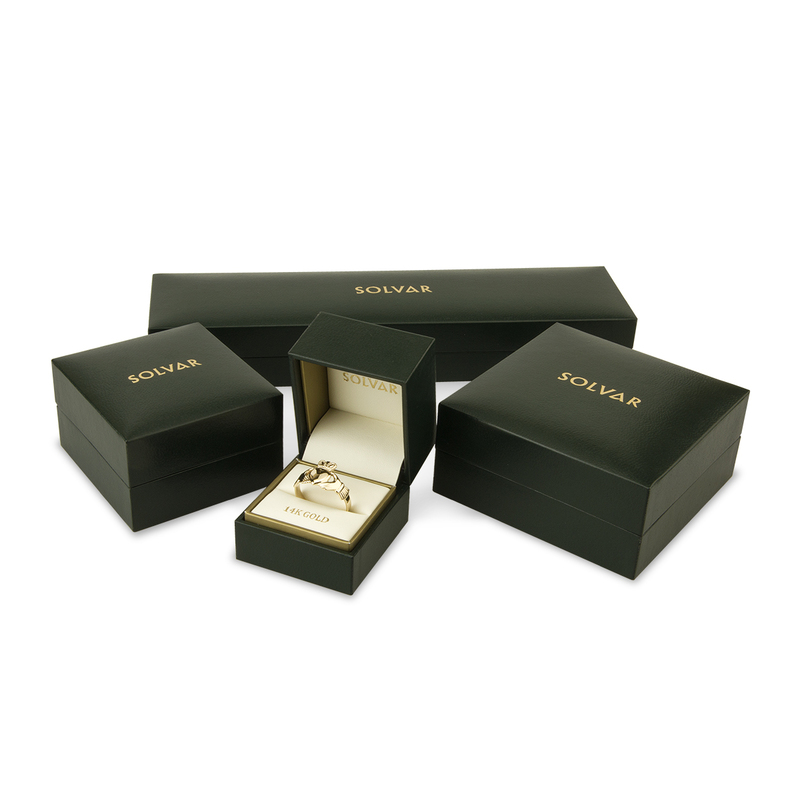 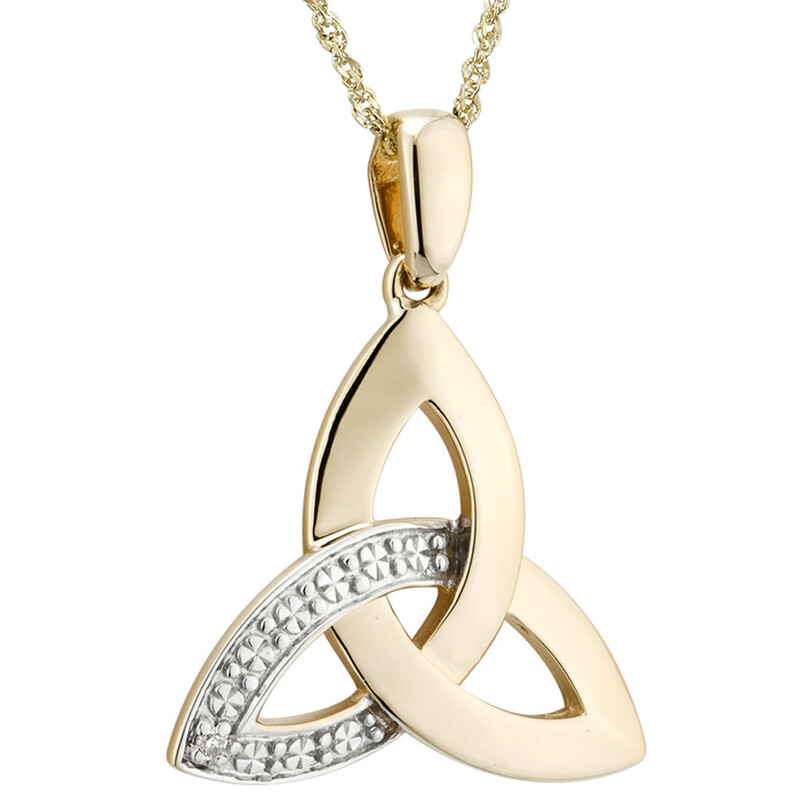 A stunning Irish gift idea, the Trinity has neither beginning nor end, symbolizing everlasting Love, Faith or Friendship. 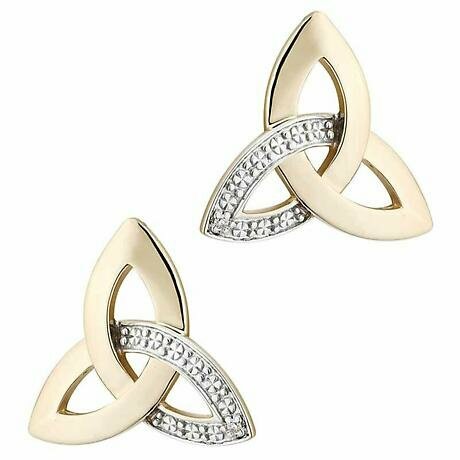 Matching Stud Earrings IJSV33990 or Drop Earrings IJSV33990 also available.